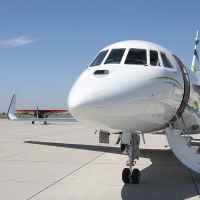 How much cost to fly on a private jet? When we introduce a new service, or even an old service but made by us in a different way for the first time, we try to identify our self onto our customer’s shoes. We try to answer the question we would ask, and we try to give as many information as possible to make our mission, our job and our passion clear and transparent. We noticed that our customers have some extra questions about pricing and here below we are trying to answer them. We work with private jets. We receive a request for a flight, then immediately search for the best solution according to route, number of passengers, special assistance, age and aircraft availability. We search not only within Europe, but we also have the capability to hunt for the best deal worldwide. Literally. Then we help our customers in taking the decision, and we proceed with the proper booking. But… how much should a customer expect to spend when asking our assistance in booking a private jet? Let’s put it black on white. 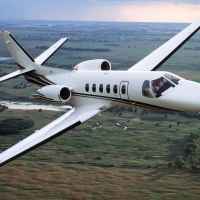 Any short flight within Europe can be performed with a jet who belongs to the category of the Very Light jet. Their configuration is up to 4 seats and the price is meant to rent the whole plane, no matter how many customers will be on board at the end. This works good for any flight up to 2.5 h.
So, from Milan to Paris, our prices start from €5.500. Geneva to Paris starts from €4.800 one way or €5.400 round trip. London to Zurich starts from €4.500 one way, €5.200 round trip. A round trip can be more convenient if the return flight is no later than 24 h after landing at the destination, otherwise the two flight will be considered as 2 single sectors. For a longer flight (more than 2.5 h but less than 5), you would need to move onto the next jet category, the mid-size jets. In this case, a flight from London to Moscow will start from € 18.000. From Berlin to Lisbon the price will start from €15.000. From Copenhagen to Ibiza prices start from €16.500. Milan to Dubai from € 26.000. London to Beijing from € 50.000. Paris to New York from €45.500. Some prices are influenced from the high taxations applicable at destinations (China, for example), landing fees and overnight fees. Each price that we propose comes from a research carried out specifically for the individual request and includes any applicable costs for the specific route. Every quote we make is absolutely free of charge, and we are happy to answer any of your questions!